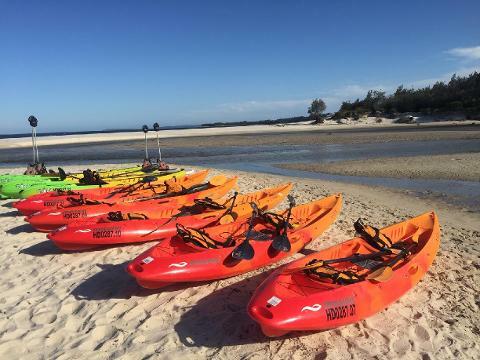 Come and join us for a wonderful guided kayaking adventure in the world renowned waters of Jervis Bay and surrounds. This is truly a paddling haven with crystal clear waters, beautiful mangroves and snow white beaches. Our highly experienced local guides know all the best spots and will give you an experience to remember for a long time. Whether looking out for one of the bay’s resident dolphins, taking a mid paddle dip in the warm waters or just gliding around taking it all in, there is something for everyone. We provide all the gear and paddling tuition. 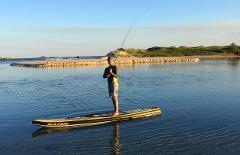 The sit on top kayaks we use are very stable and easy to paddle so you will be gliding along in no time. 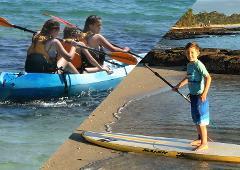 This trip is family and beginner friendly and first time paddlers are very welcome. Children must be 5 or over to participate and must be under the supervision of a responsible adult. Each child under 14 years of age must have one supervising adult with them on the tour. Whether you are looking at a one off experience or thinking about getting into paddling yourself, this is a great first step in one of Australia’s best paddling destinations.